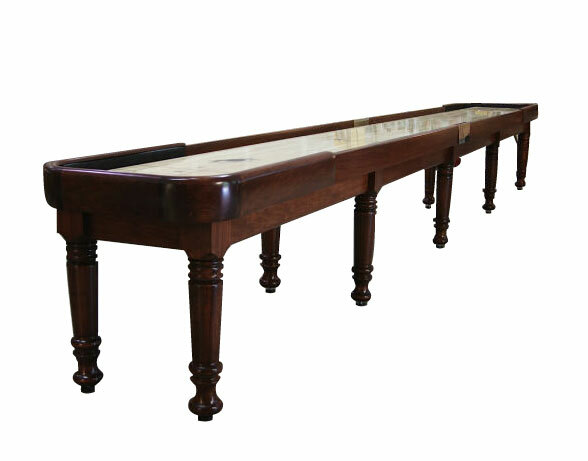 The Bennett shuffleboard started off as just an idea in the minds of the Bennett family not too long ago. 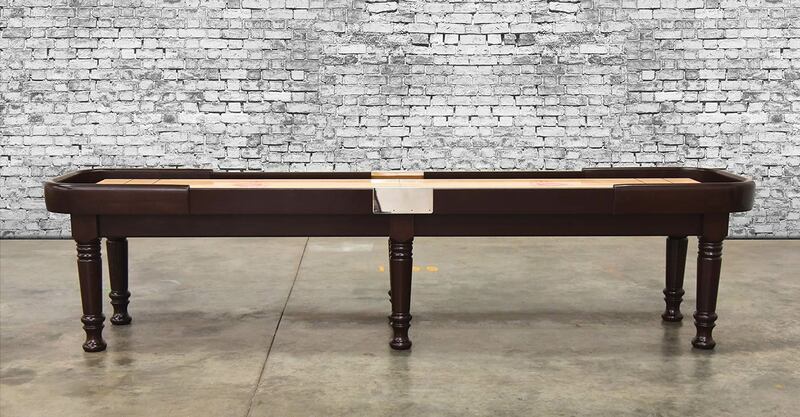 The idea of an English Pub style shuffleboard table that combines rich warm wood tones with soft black leather perfectly to craft a one of a kind, luxurious center piece. 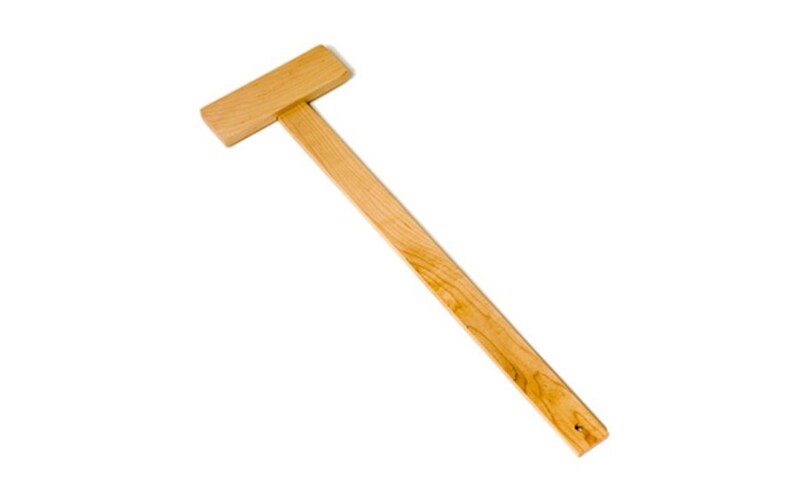 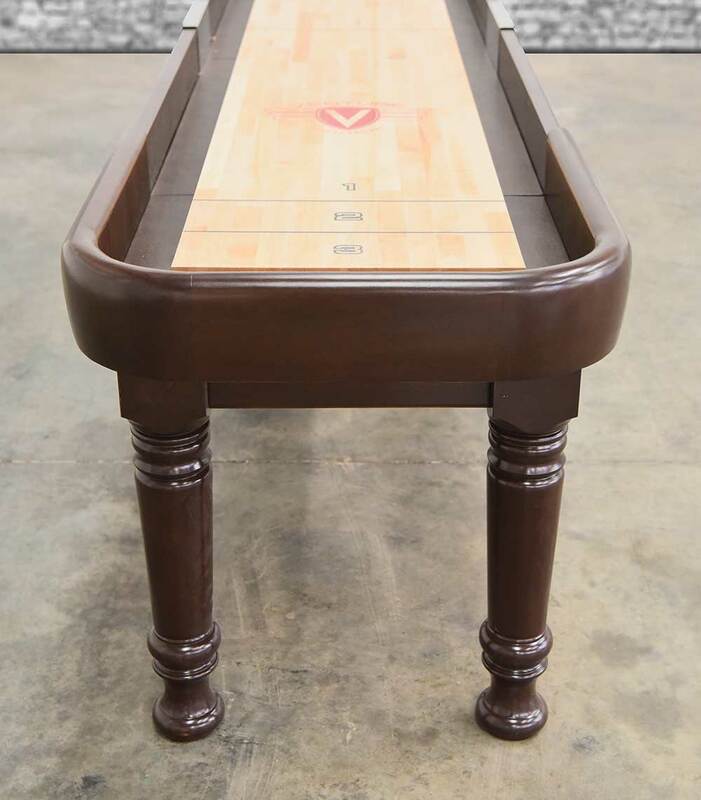 And now the people at Venture has gone and made it a reality. 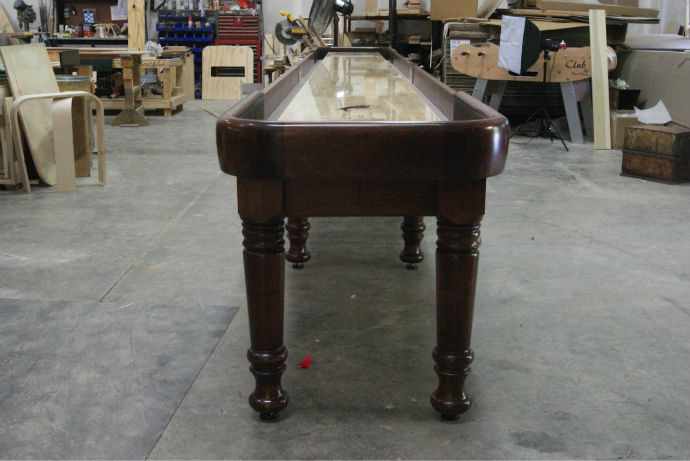 This completely custom built table was made to the exact specs of the Bennett family and now you also have the chance to own this beautiful shuffleboard game table for yourself. 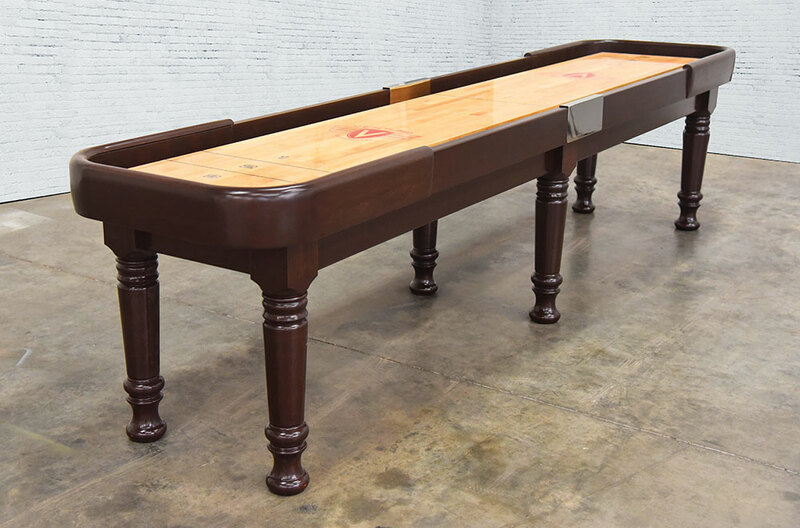 This table was crafted using Venture's very own custom tear drop horse collar design, connected to the 6/4 nickel side rails, and finished off with nickel plated center connectors for a truly sturdy built. 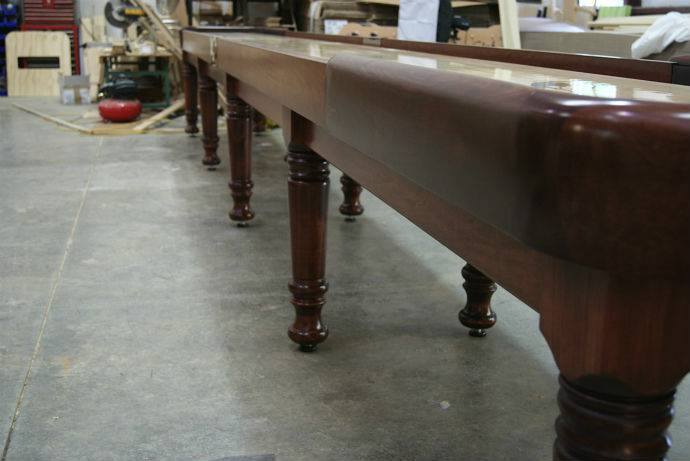 The carved accent legs are joined to the table using state of the art hidden fasteners to give the table a sleek and clean look. 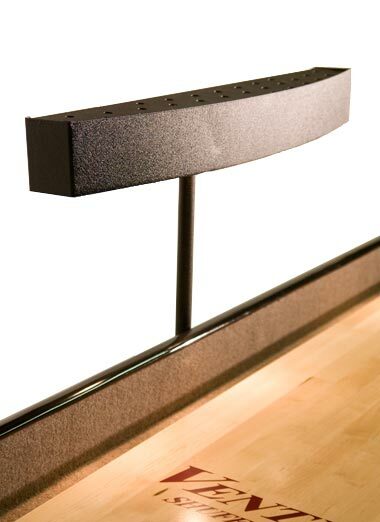 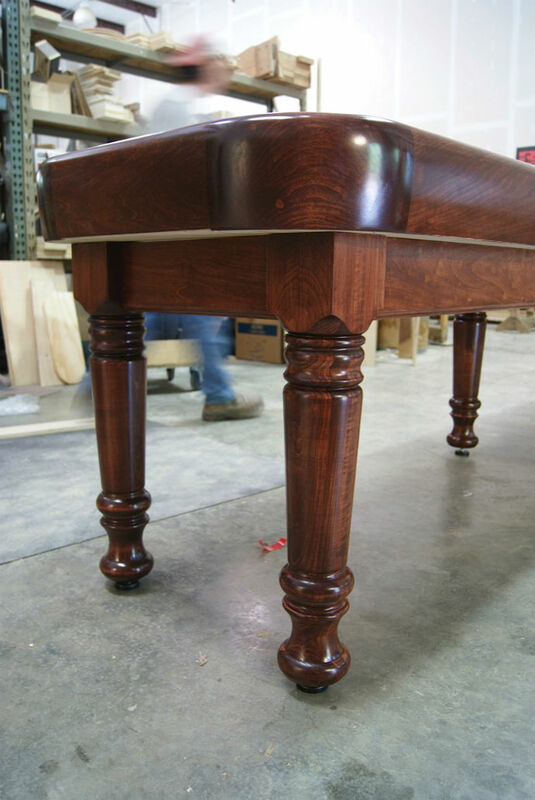 No obtrusive nails or screws to distract from the beauty of the table. 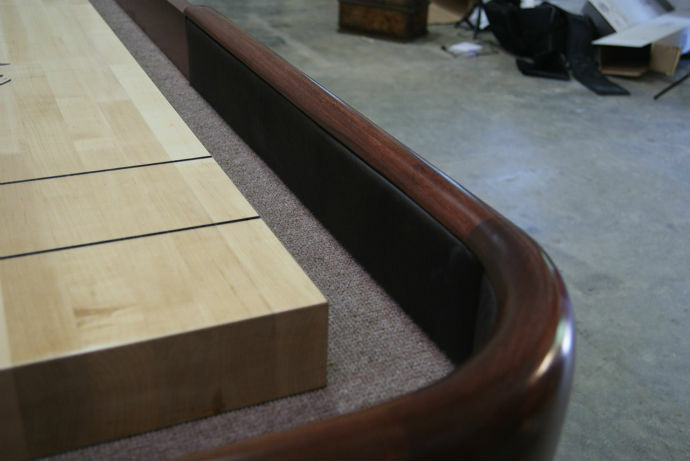 The Bennett Shuffleboard Table comes in four standard stains: Chestnut, Dark Walnut, Stelter Mahogany and the custom Bennett stain (Shown in Picture). 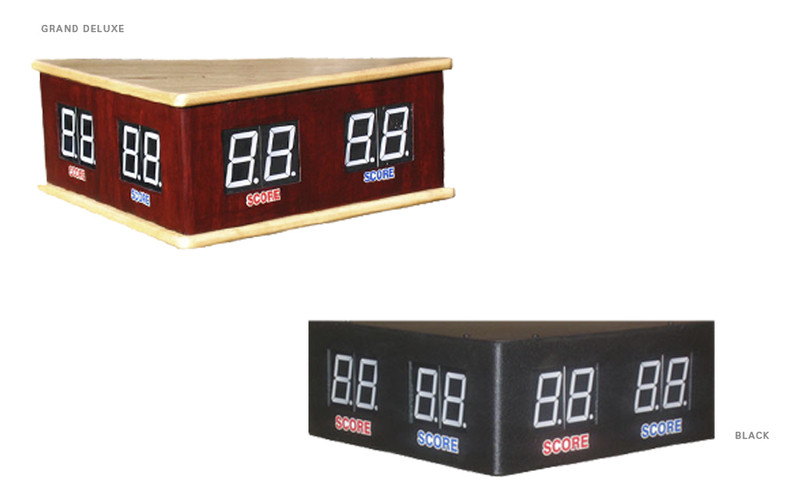 Available in sizes from 9' to the official regulation size of 22'. 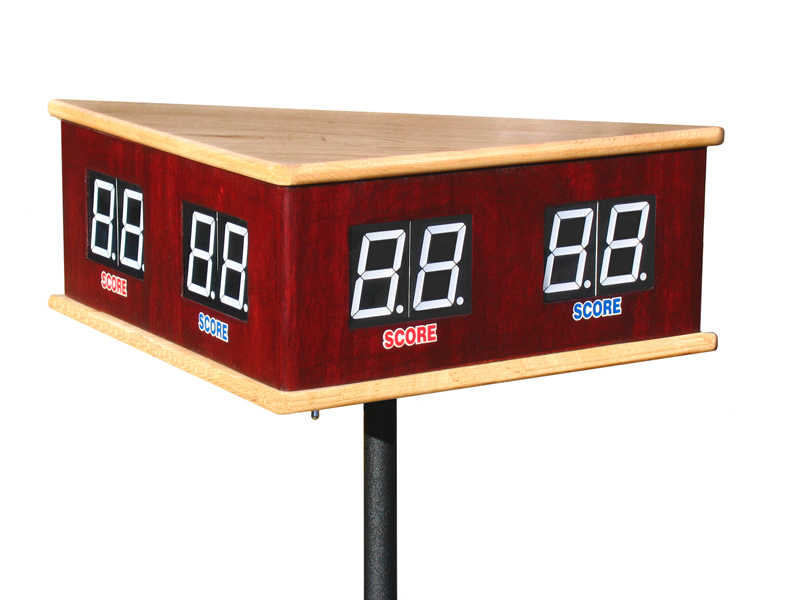 Bennett finished outside width is 32"